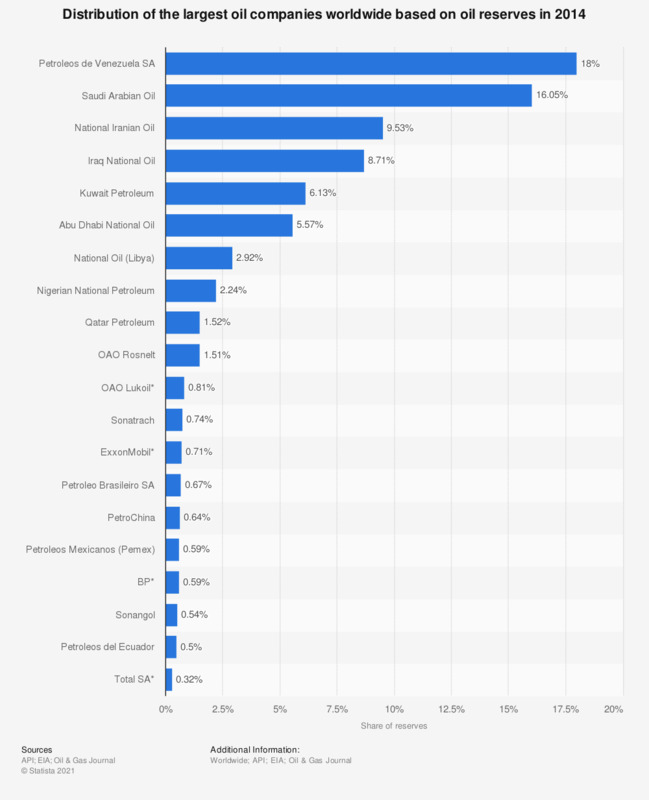 This statistic displays the distribution of the largest oil companies worldwide based on reserves in 2014. In that year, Petroleos de Venezuela had the world's largest share of global oil reserves of any oil company, with 18 percent. In second place was Saudi Arabian Oil, also known as Saudi Aramco, with 16.05 percent of the world's oil reserves. * Investor owned company. All other companies listed in this statistic are nationalized oil companies. Shares of reserves were calculated based on the estimated world total oil reserves of 1.656 trillion barrels in 2014.